30 days until Black Friday. 60 days until Christmas. 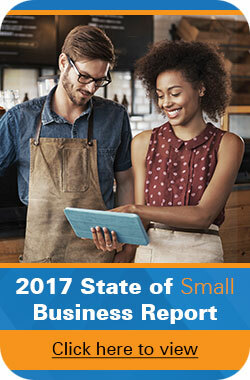 If your eyes just bulged out of your head, or you’re experiencing a moment of panic, then it’s likely that you’re a small business owner. Holidays can be a scary time for businesses and their employees, so it’s important to start preparing now. Here are some tips on what you should be doing now to get ready for the holiday season. Hire well ahead of the holiday rush to make sure that new staff members are up-to-snuff before crunch time. It’s great to hire new employees to help with the rush, but it isn’t great when they aren’t prepared and you have to keep an eye on them while also trying to complete your own work. To make sure this doesn’t happen to you, hire early and train thoroughly! Work out your holiday staffing schedule in advance to make sure you aren’t short-staffed. Going right along with our first tip, this is just as important when staffing for the holiday rush. Even if you hire quality employees and they’re well prepared, none of that matters if your schedule isn’t finalized! Coordinating schedules during the holidays can be tricky with travel and family time, so take the time to finalize your schedule ahead of time. When the holiday rush hits, you won’t have to waste any time worrying about who’s working when. Make sure you have an inventory tracking solution in place. This will help you keep the right items in stock to meet holiday demand, plus you’ll be prepared for year-end inventory audits. Join the crowd and advertise early, regardless of the channel you’re using. Whether you agree with pre-Thanksgiving holiday ads or not, the reality is that many retailers and service providers are on this bandwagon – so to be sure that you get your share of the holiday spend, don’t be left behind when it comes to publicity. Create a killer campaign for the holidays. The economy’s not likely to be much different by then, so there will be stiff competition for every consumer dollar. Make the most of social media and cool marketing trends like QR codes to communicate your outstanding offer. Use our QR code maker to incorporate QR codes into every part of your holiday marketing campaign. Don’t be late to the race; make sure your small business is prepared for the holiday rush. In what ways do you prepare for the holiday season? New Gap Logo: What’s in a Logo? It also helps a great deal if you can send your promos and catalogs early. If you’re sending your e-mail, it should be sent before customers begin planning their holiday vacations or too busy to even mind what the e-mail is all about. Besides, other advertisers will also be sending their ads around the holidays. If you send yours together with theirs, your e-mail may be buried underneath. Great points, Mae! While waiting until after Thanksgiving used to be customary for holiday advertising, the rush seems to begin earlier every year – so it’s important to get in front of your customers well in advance.